Teaching is said to be the greatest act of optimism. Traveling compounded with the beautiful act of volunteering as a teacher gives an amazing opportunity for everyone filled with wanderlust, eager to discover new people, cultures, and landscapes to visit places in dire need of social and educational build-up. Countries around the world are filled with destinations and opportunities for one to help create brighter and more secure futures for underprivileged children and adults. From volunteering to teach the English language to basic math and IT, here education includes not just the curricular activities but also those extra ones that play a major role in personality building of a child, such as sports and art. Some programs require a TEFL certificate but mostly they are looking for excited individuals willing to immerse themselves in the local cultures and not just teach but also learn from their pupils. Travel the country home to the highest peak of the world and educate the solemn and fascinating monks and children of Nepal. 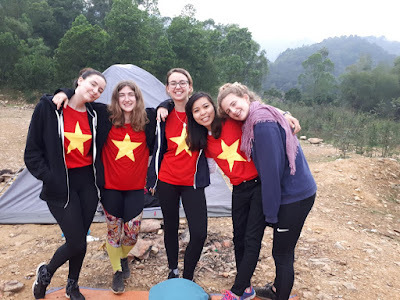 The welcoming eastern culture in addition with the humble people of the country, easily makes it one of the best places to volunteer and travel in the world. Because of the last disastrous earthquake in the country, many schools are underfunded and lack resources which that makes the need to build up all the more important. Programs for teaching the English Language can be a good opportunity to volunteer in Nepal. Ghana is said to be the gateway to Africa. With a punch of energy and enthusiasm, one should travel and explore this wonderful country and teach the warm Ghanaian people. On the road to rebuilding its social system, the country has numerous programs running to make teaching in the country an unforgettable experience for the volunteers. As a volunteer, you can help with the development of their speaking and conversational skills that can largely impact their future. As a volunteer, you’re guaranteed an adventure with the local schools giving you the opportunity to teach not just English, math and science but also sports, arts and after-school activities. Thailand is coveted for its interesting and dynamic ancient history. Thus, this country is one most sought out places to travel and volunteer today. Their scenic tropical beaches and temples plus the attractive and unique eateries guarantees an amazing visit. You can volunteer in the public schools, from primary to university, and help students improve their English language skills. Their colorful culture can help create new ways of learning and all together make an unforgettable experience for you. The 21st century Vietnam is the perfect combination of its pre and it’s postcolonial version. The country has a fascinating history, architecture and culture to intrigue a true travel geek. Volunteers can indulge in the sights like Ha Long Bay, beautiful rice terraces, mountains, and beaches. Pursue your passion of teaching and help reform English language skills in the schools and universities of Vietnam. One of the most economically flourishing countries of the continent, South Africa is home to vastly diversified communities. Those wishing for a blend of cosmopolitanism and adventure can find numerous programs for volunteer teaching abroad. Traveling enthusiasts can indulge themselves in the culinary serenity or find many adventurous activities like visiting safaris, shark diving, and rock climbing. A controversial past of social inequality created several underprivileged areas and communities that need to be catered, especially in the education sector. If you would rather teach something other than the English language, you can easily find a broad variety of programs that are looking for volunteer teachers in subjects like math, IT, surfing, sports, art etc. For more information visit Volunteerworld.com and find your perfect volunteering opportunity.